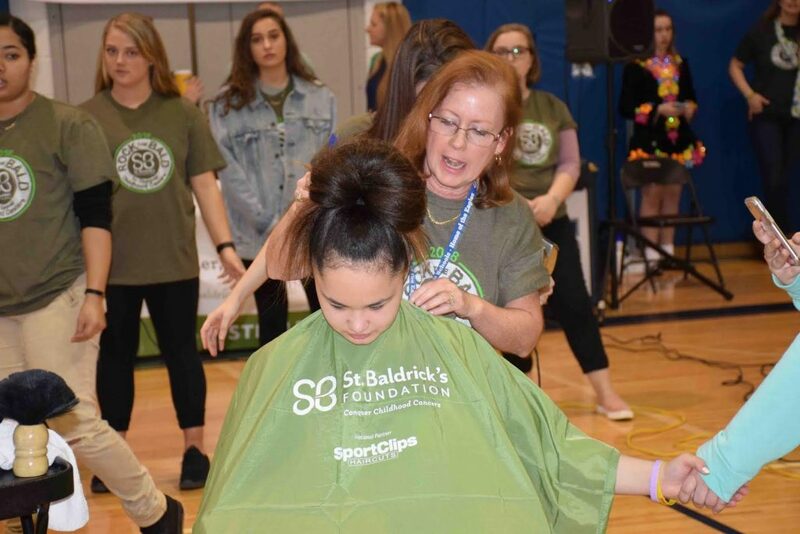 When Rocky Point Middle School Principal Dr. Scott O’Brien asked the hundreds of people gathered in the auditorium to raise a hand if they knew someone affected by cancer, more than half of them did. 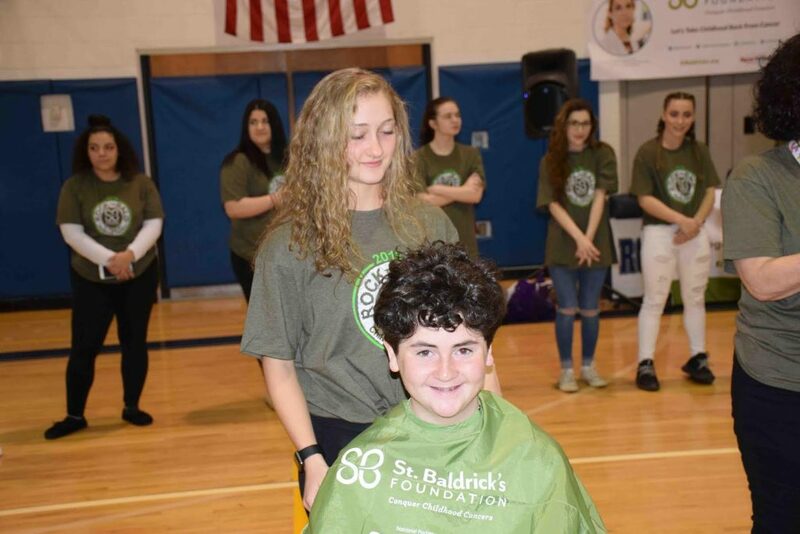 The serious moment of awareness was a fitting start to the school’s annual St. Baldrick’s Foundation head-shaving event. 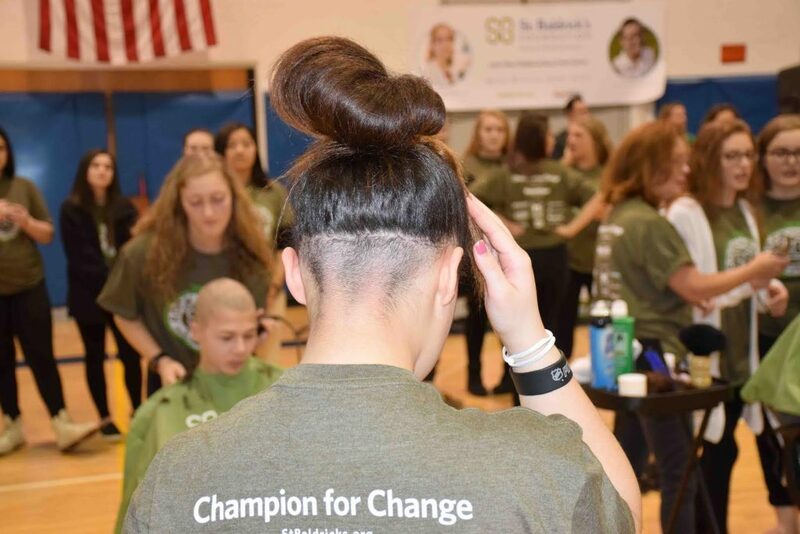 Coordinated by social studies teacher Erica Alemaghides, professional bagpipers and an Irish step dancer encouraged the cheers from the crowd as the 18 brave students and staff members took their seats in the barber’s chairs to have their heads shaved by Rocky Point High School cosmetology students. 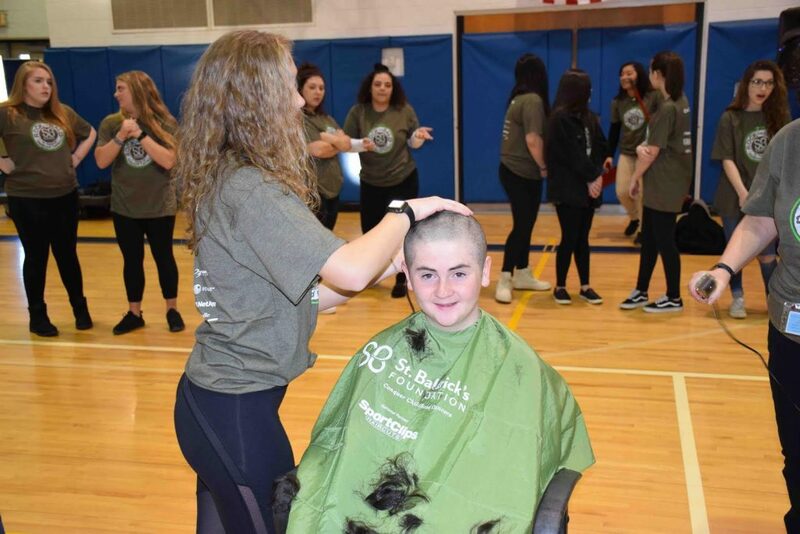 “This annual assembly serves as a way for our school community to come together in solidarity with children living with cancer,” Principal Dr. Scott O’Brien said. Money was pledged by donors to support the shavees’ efforts, all of which will be donated to help support people with cancer. With abundant support from both school and community, the fundraising goal was surpassed and $11,000 was raised. Eighth-grader Quentin Palifka was named the top individual fundraiser, having collected $6,018. Quentin said he has been raising money for a number of years, to honor a neighbor’s child who died several years ago. “It was a nice way to honor him,” he said of a child he never got to meet. 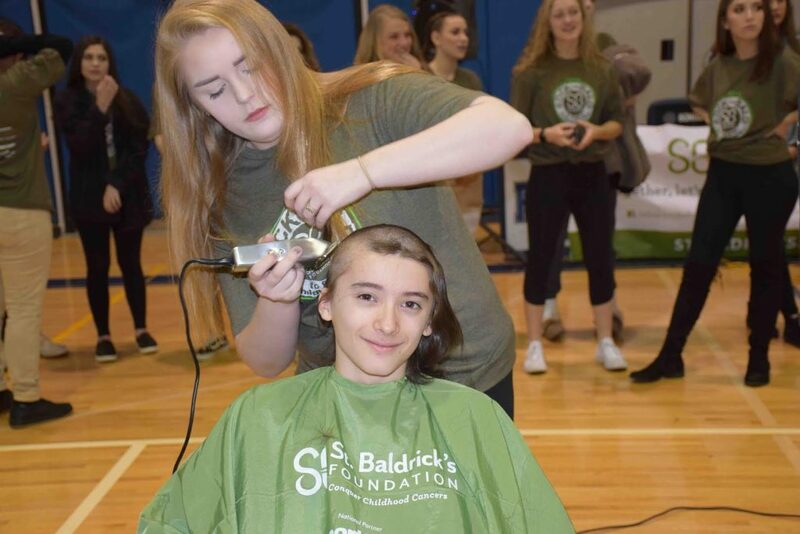 Photo captions: Rocky Point Middle School came together in solidarity with children living with cancer at the school’s annual St. Baldrick’s head-shaving event.